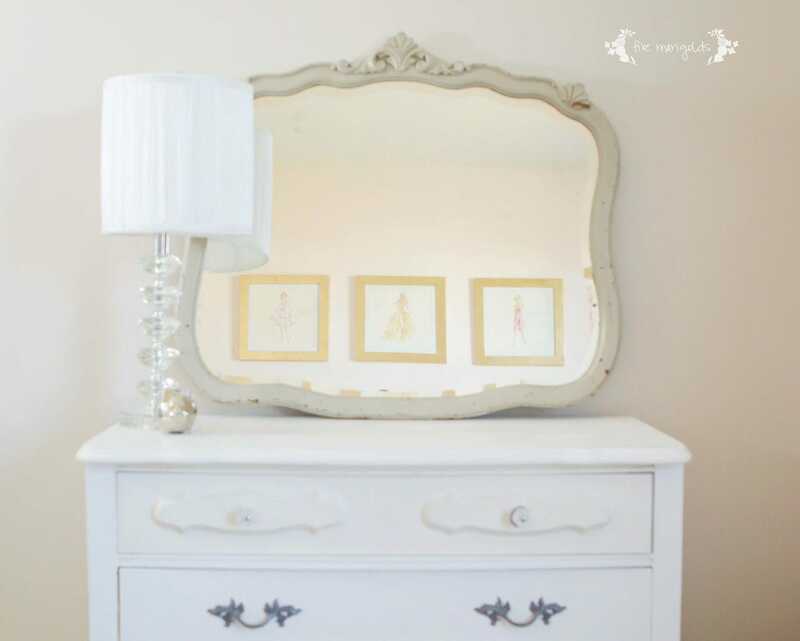 That dresser is to die for! I have been searching for one for our nursery and hope I can find a great score before babygirl arrives in March. Thank you! We have vintage dressers in all of the kids’ rooms and I love the charm they add to each space. Where did you get the mirror? 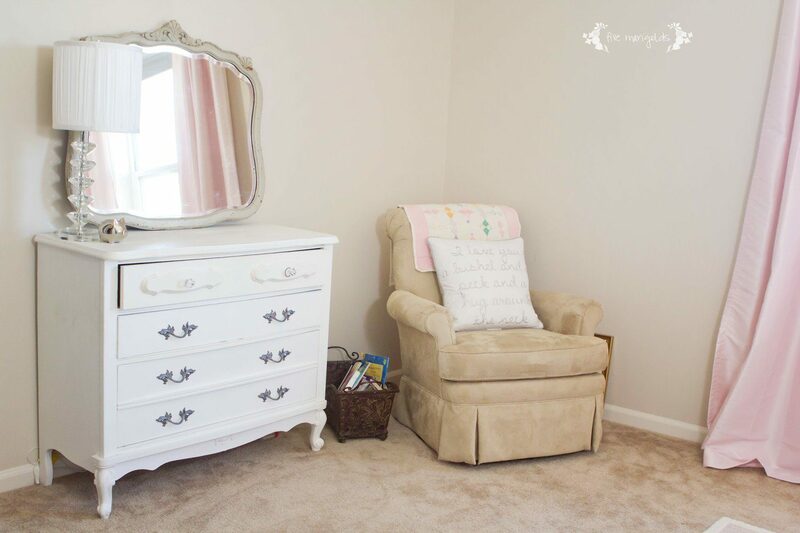 Seriously loving this nursery! !